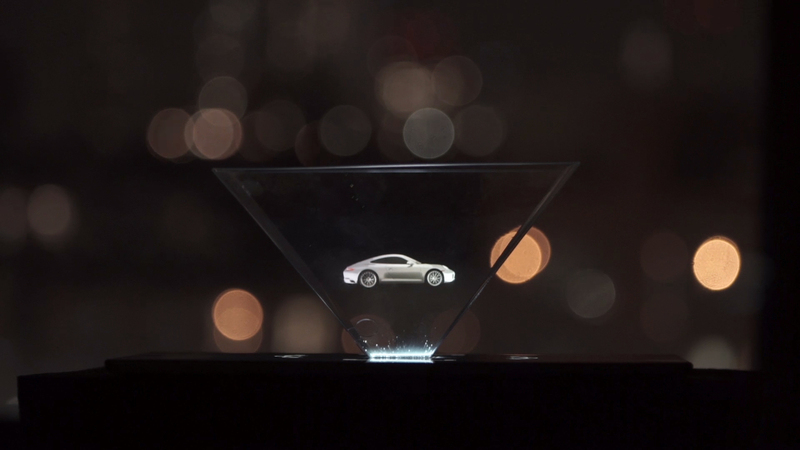 Bent Image Lab has made advertising history by creating what client Porsche claims is “the world’s first interactive hologram print ad,” for Cramer-Krasselt, Chicago. BENT’s team, led by Director Chase Massingill, worked within some non-traditional parameters to bring the clean lines and sleek design of the iconic brand into a unique storytelling platform. Select subscribers of Fast Company magazine received a copy of the April issue containing a 4-inch plastic prism and directions for assembly. When placed on top of a tablet playing BENT’s video, Porsche’s story is rendered in beautiful floating 3D graphics.